Kevin Anderson advances yet again as he aims for another bull run but doubles star Raven Klaasen crashes out. It was a bittersweet Friday for South African players on Day 5 at the US Open at the Billie Jean King National Tennis Centre in New York on Friday. 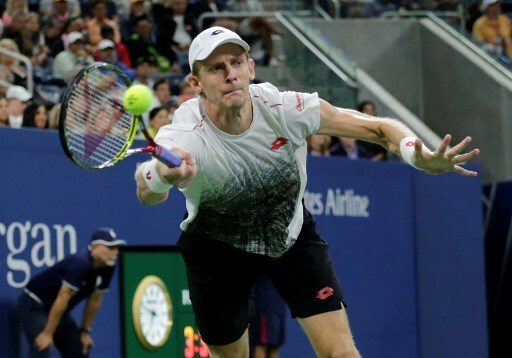 Kevin Anderson won through to round four of the singles while Raven Klaasen and his New Zealand doubles partner Michael Venus made an unexpected exit from the tournament in round two of the men’s doubles. 2017 US Open finalist Kevin Anderson outlasted Canadian teenager Denis Shapovalov, 4-6, 6-3, 6-4, 4-6, 6-4, creating a little history along the way by playing the first match under the roof of Louis Armstrong Stadium. Anderson needed three hours and 42 minutes to book his place in the fourth round, winning a close encounter that was determined by just a handful of points in each set. Shapovalov broke for a 2-1 lead in the first set when Anderson’s backhand sailed long, and he went on to win the opener on his second set point when Anderson was unable to block a wide serve to the backhand into play. Anderson, who has reached at least the fourth round of all four majors, went off the court for almost four minutes for a medical timeout, but he appeared to be moving well once he returned. He earned his first break point 71 minutes into the match, capitalizing for a 4-2 lead as the Canadian hit a forehand long as the first sign of raindrops began sprinkling across the court. Chair umpire Nico Helwerth came down to check the lines, but after the very next point, Shapovalov gestured to Helwerth again and both players took a seat as the roof started to shut for the first time with Shapovalov leading, 6-4, 2-4, 0-15. The roof started to close at 4:25 p.m, a little over a minute after the players came off the court. The roof took four minutes and 30 seconds to close, then the players waited another two minutes while court attendants dried the final wet spots on the court. From players leaving the court to the next ball being hit, it took eight minutes and eight seconds. Anderson hit the first ball under the roof, a first-serve fault, before winning the first point, first game and first set with the stadium covered from the elements. The No 5 seed claimed the second set when Shapovalov hit a backhand volley into the net, and Anderson earned the first break of the third set at 3-3 after an angled, sliced backhand lured Shapovalov, who hit 59 winners to 42 miscues, into a shanked forehand. Anderson consolidated the break with an unreturnable second serve as the match hit the two-hour mark. A towering kick serve shoulder-high to the Shapovalov backhand gave Anderson two set points, and he wrapped up the set with a 115mph serve out wide that clipped the line. Nine consecutive holds kept the fourth set on serve, but Shapovalov broke 6-foot-8 Anderson on his third opportunity at 5-4 when the former finalist was serving to stay in the set. In the fifth, Shapovalov hit a forehand into the net to hand Anderson a decisive break and a 2-1 lead. The South American saved five break points over his next two service games before wrapping up the victory on his fifth match point. Anderson will play No 9 seed Dominic Thiem in the last 16 scheduled for Sunday, with the winner of that match potentially scheduled to meet world No 1 Rafael Nadal in the quarterfinals. “It was another hard and long match and credit to Denis for playing really solid tennis. Denis is a rising star and to have played the way he did as a 19-year-old is impressive. I was really pleased to be part of history playing the first points and match under the new Louis Armstrong Stadium” said Anderson. The 32-year-old Anderson has reached the final of two of the past four majors after reaching just one quarterfinal in the previous 33 attempts. He’s now into the Round of 16 in New York for the third time in four years. Meanwhile No 8 seeds in the men’s doubles, Klaasen and Venus joined a number of men’s doubles seeds to exit the tournament in the opening week. Unseeded Maximo Gonzalez (Argentina) and Nicolas Jarry (Chile) beat Klaasen and Venus 6-3 7-6 (5) to advance to Round 3.